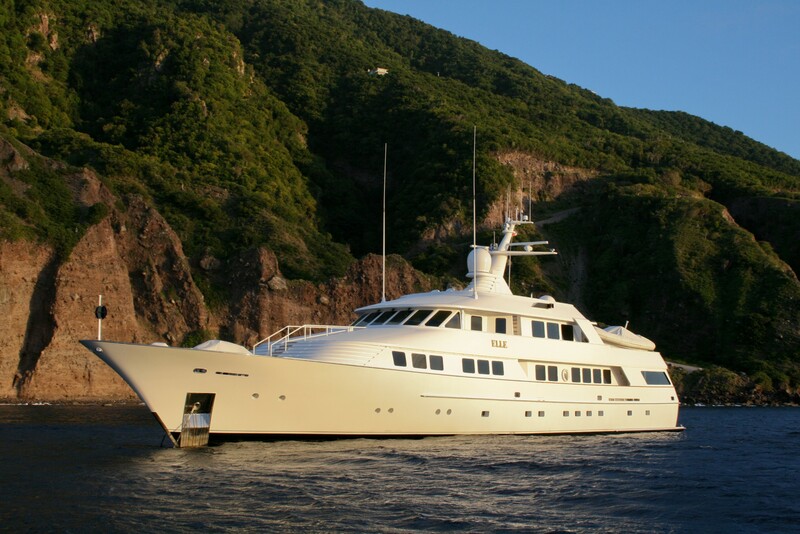 Motor yacht SEA FALCON II is a luxury motor yacht built in 1993 by Tacoma Shipbuilders. 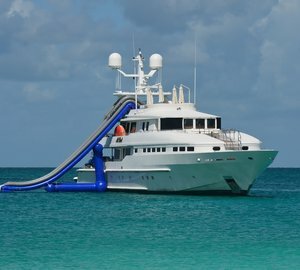 Measuring 46,02m (151' ) in length with a 9.35m (30' 8") beam, she is a voluminous yacht that offers accommodation for up to 10 guests in 5 well appointed cabins. 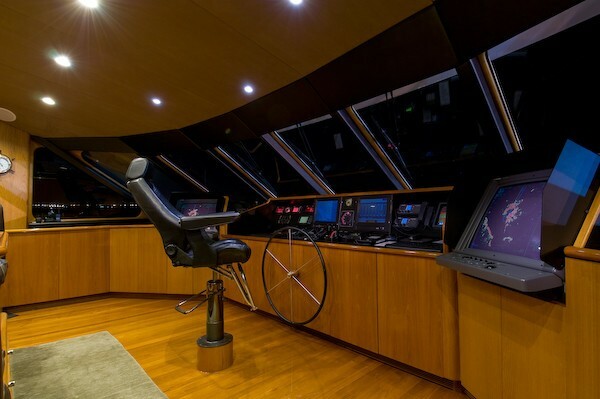 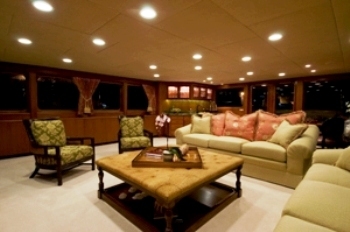 Yacht SEA FALCON II (formerly ELLE) is a very well appointed yacht with a large main salon that spans the full width of her 30ft beam. 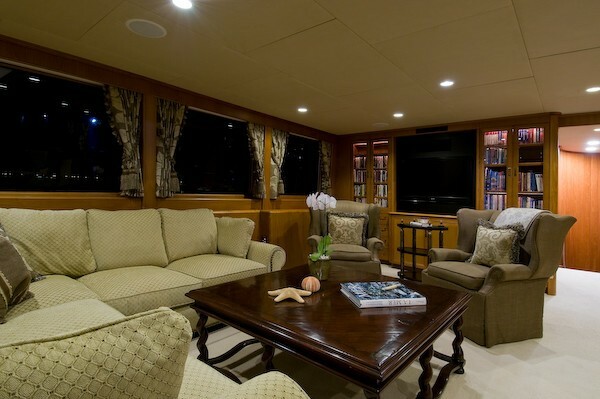 Along the port and starboard sides of the salon are 4 large windows and the aft bulk head has floor to ceiling glass doors as well as windows to each side offering plenty of natural light and complete open and airy viewing to the spectacular waters beyond from each angle of the salon. 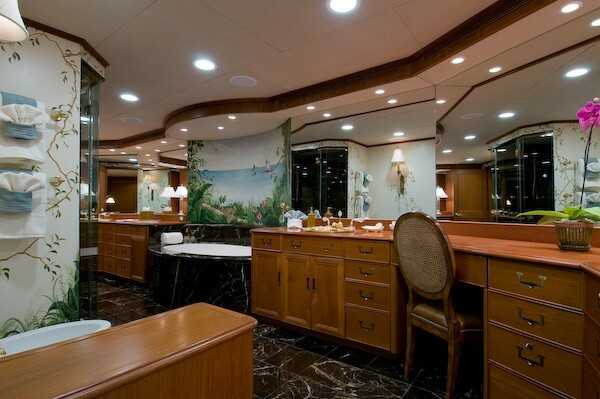 In the salon there is also a granite topped wet bar and ice maker. 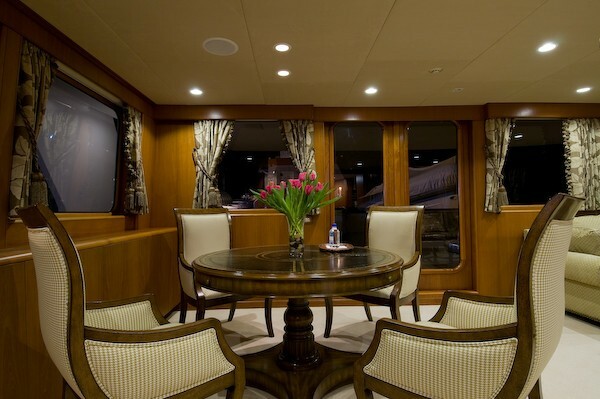 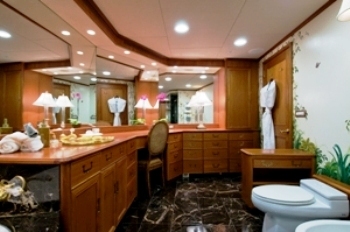 The formal dining salon forward can be fully enclosed and is located just off the marble foyer on the starboard side. 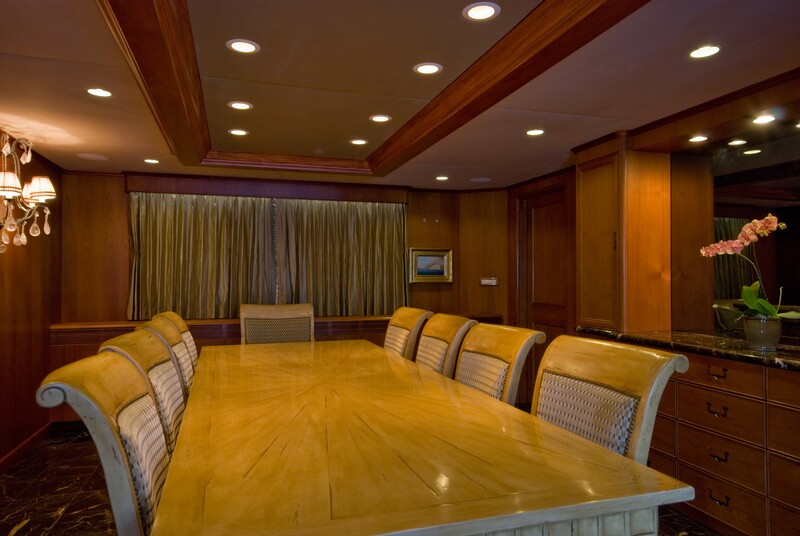 The dining room can accommodate up to 10 seated guests and is finished with teak panelled walls. 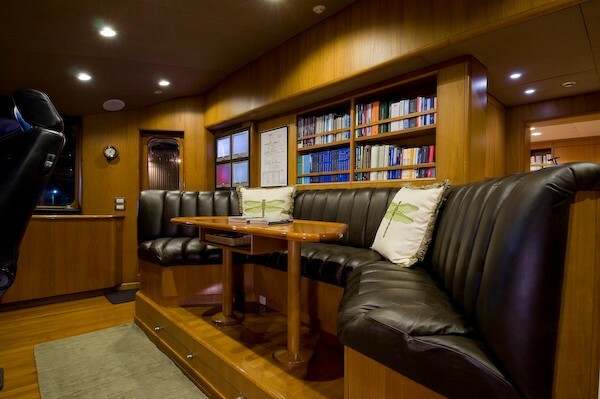 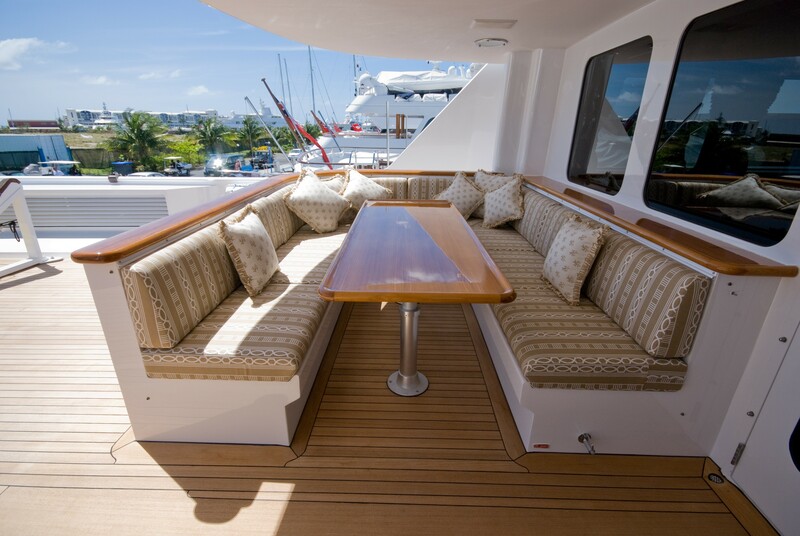 The Skylounge is accessed from the main deck by a curved teak paneled stairwell. 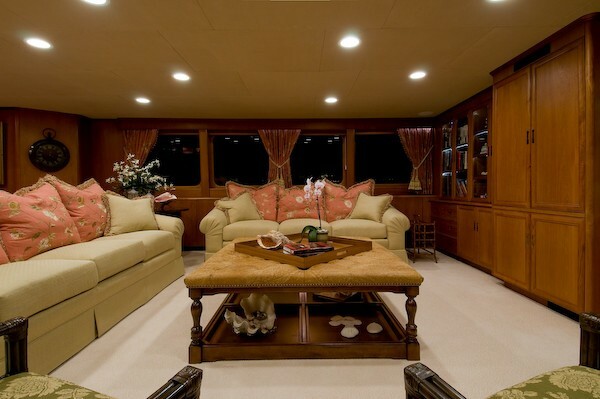 It is large with plenty of good natural lighting from 3 large windows on each side of the yacht and features a 42" Sony flatscreen TV and stereo/DVD system to enjoy. 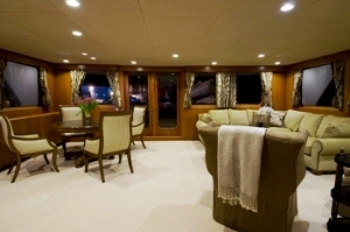 Double glass doors give access the top deck. 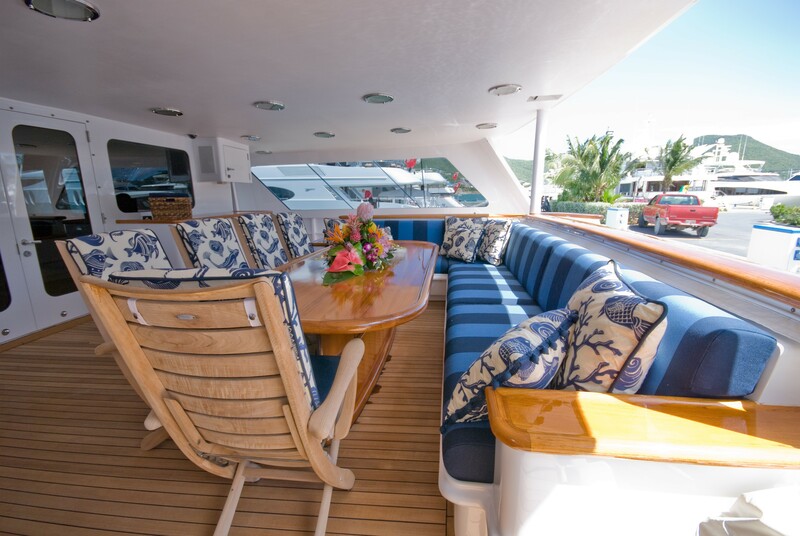 SEA FALCON II is a great yacht for entertaining with an expansive aft deck area with alfresco dining for 10 guests as well as an oval-shaped table that will seat an additional 5 guests. 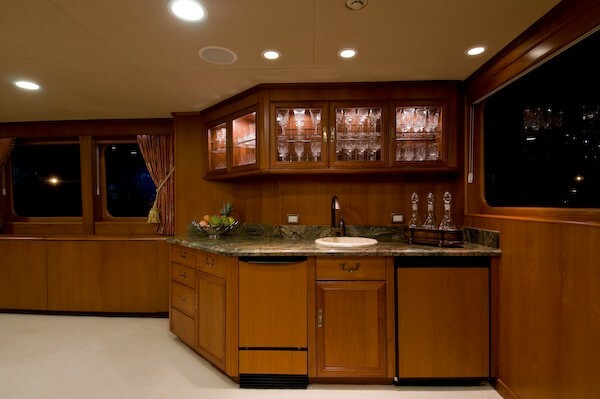 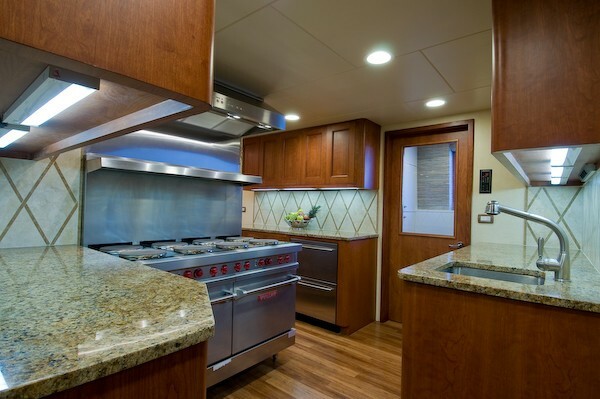 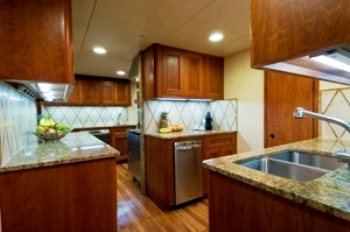 The aft deck also features a wet bar with sink, refrigerator and ice maker with under the counter glass and bottle storage. 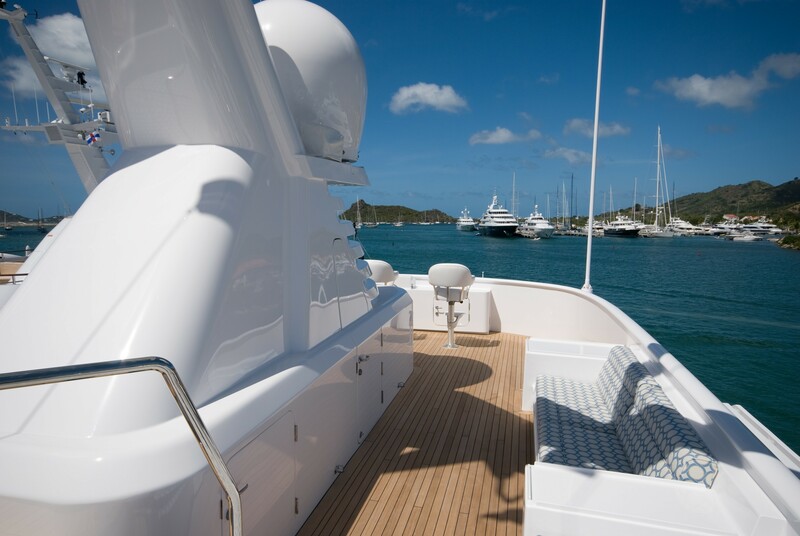 Her top deck has a spa pool and spacious sunning areas for sunbathing surrounding the spa pool. 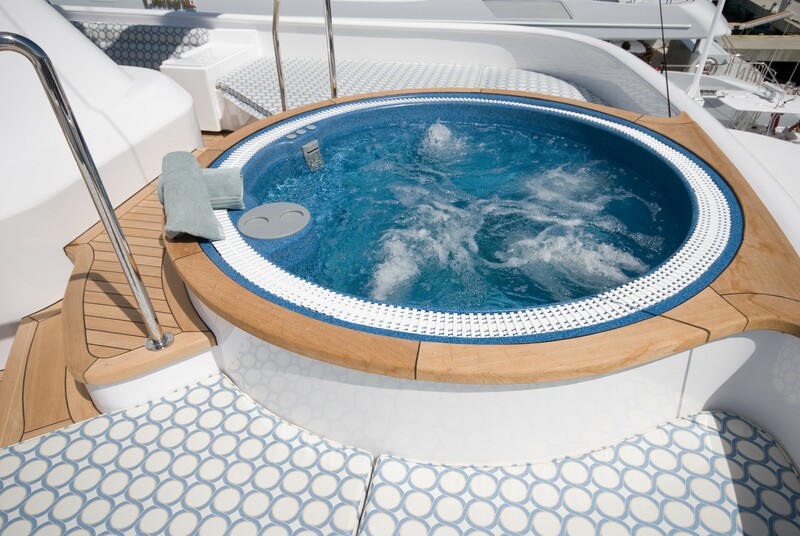 There is a day head and shower on the port side. 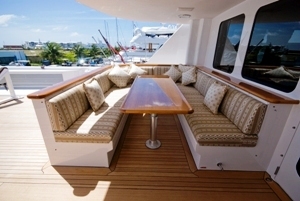 Forward is a spacious observation area with 3 helm seats. The Captain and his 9 crew are very accommodating and very "family-friendly" and all guests will want to return aboard her for years to come. 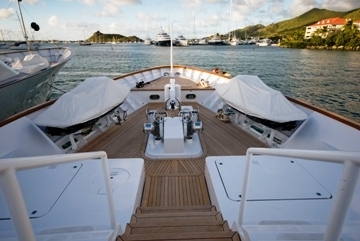 The yacht received a 6 month stem-to-stern refit in 2008. 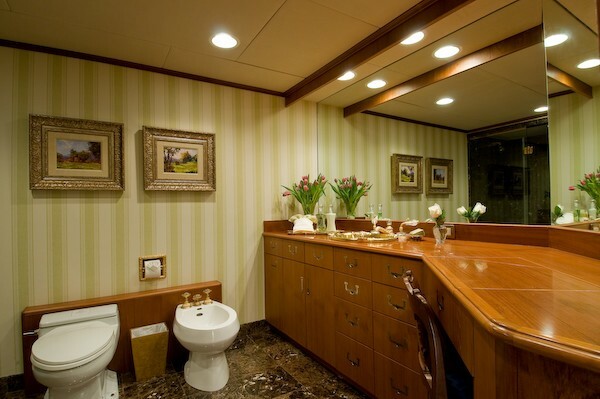 Every major system on board was upgraded. 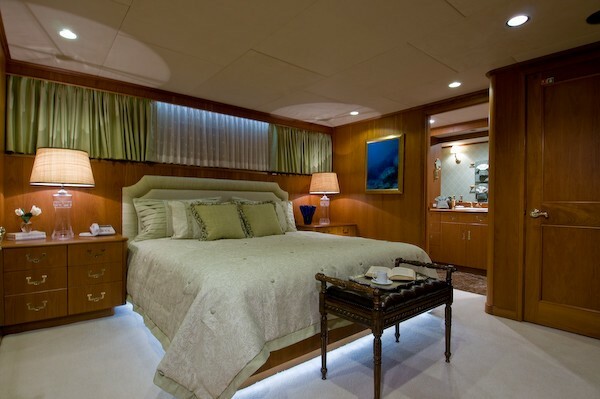 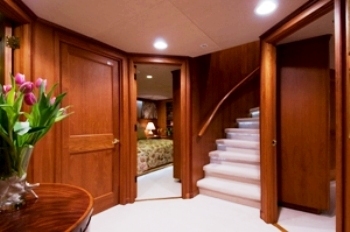 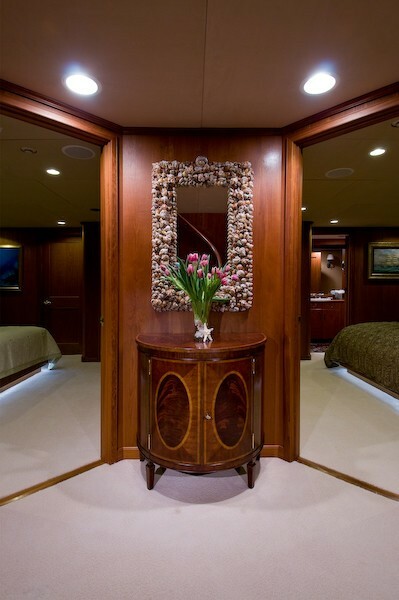 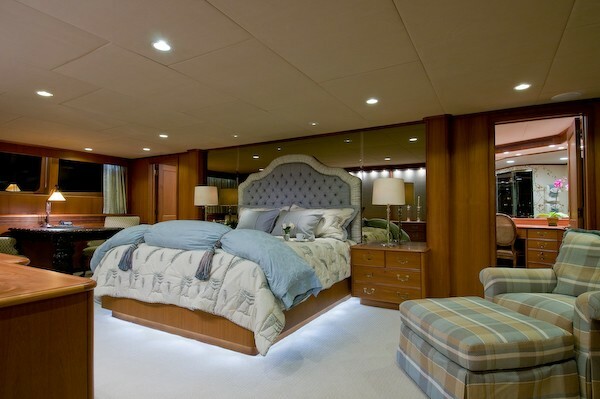 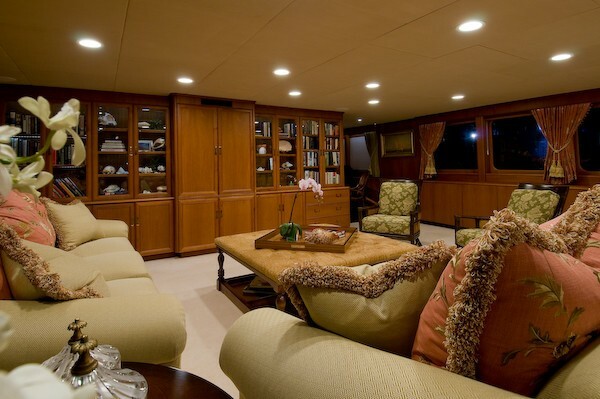 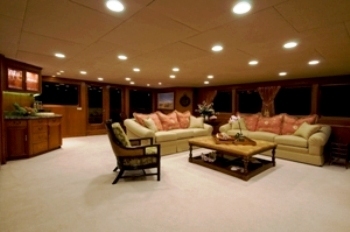 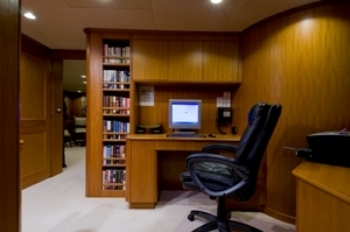 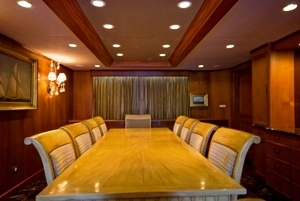 Complete soft goods refit in each room of the yacht was also refit. 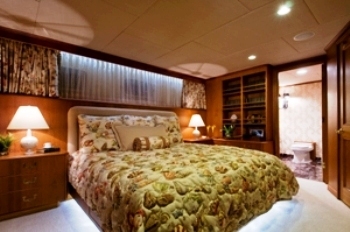 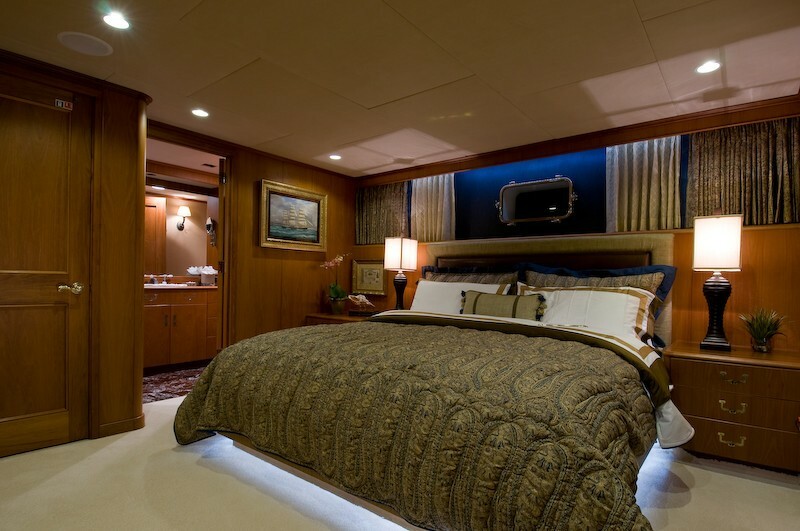 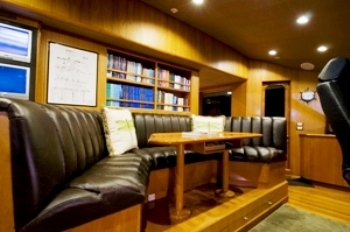 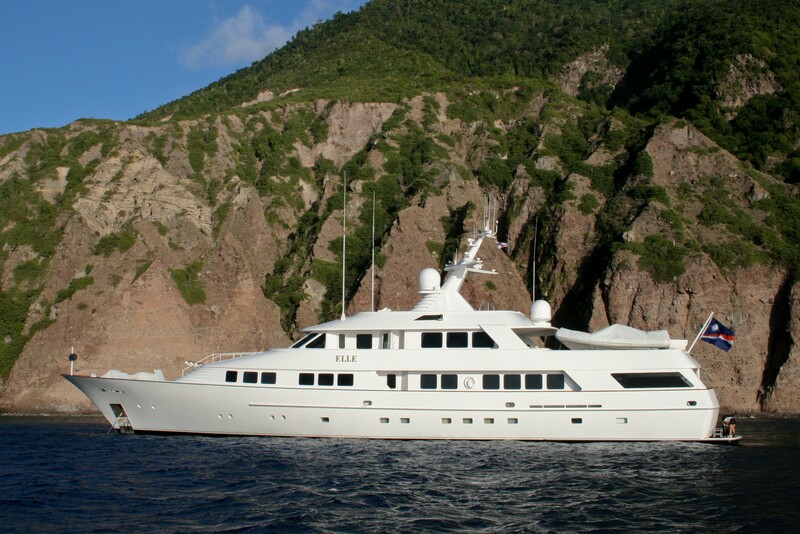 Motor yacht SEA FALCON II is able to sleep up to 10 guests overnight. Her 5 cabin layout consists of a Master stateroom located on the main deck with a California King bed and a large full width ensuite and 4 guest staterooms all featuring king-sized beds. 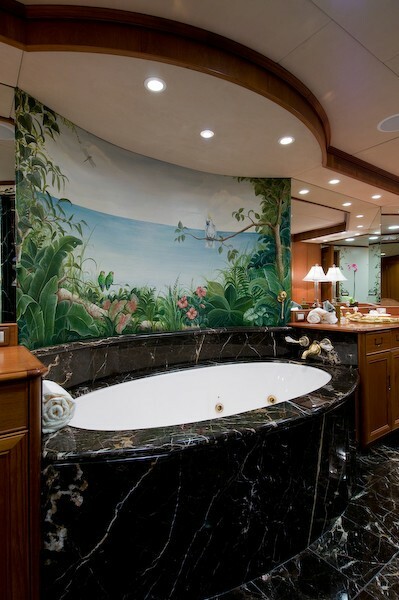 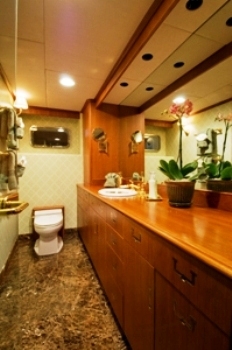 All staterooms are elegant and comfortable and boast well appointed large marble showers and entertainment centers. She has a fantastic selection of extras including the following Tenders and Toys: a 21' Novurania with 130 HP outboard, a 21' Novurania with 225 HP outboard, 2 SeaDoo jet skis, 2 Yamaha Scooters, 2 Sea kayaks, a Bauer dive compressor with tanks and dive equipment for certified divers only, Snorkeling gear and Fishing gear. 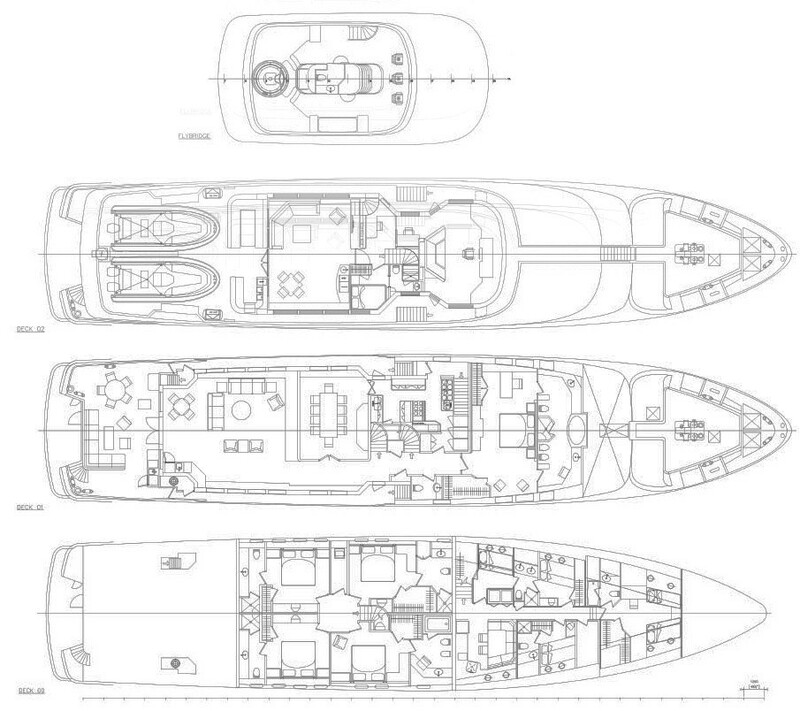 Communications onboard include 2 Mini M SATCOM, 2 Furuno VHF, Furuno FS 5000 SSB, Raytheon Loudhailer, Phone system throughout, Cellular Phone, Computer, fax and copy machine. 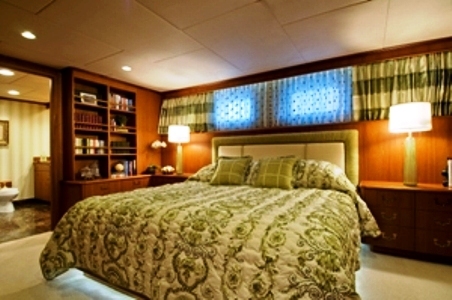 Audio Visual Equipment and Deck Facilities include Complete audio system throughout, Surround Sound, (7) Sony integrated TV/DVD/CD stereo's in 4 guest staterooms, 3 42” Plasma TV's (owner's cabin, skylounge, main salon) 4 21” Flatscreen TV's (guest cabins), SAT TV, a Deck Spa Pool, Icemaker's throughout, BBQ grill and a great Swim platform.